I do not want to change the settings but I would like to know what they are. I am not sure you can do it. What you can do is to create and embed the manifest. In Windows Vista®, the correct way to mark your applications is to embed an application manifest within your program that tells the operating system what the application needs. In the Windows Vista release, there are provisions to allow non-manifested or unsigned code to run with a full administrative access token. Please, look at this post. 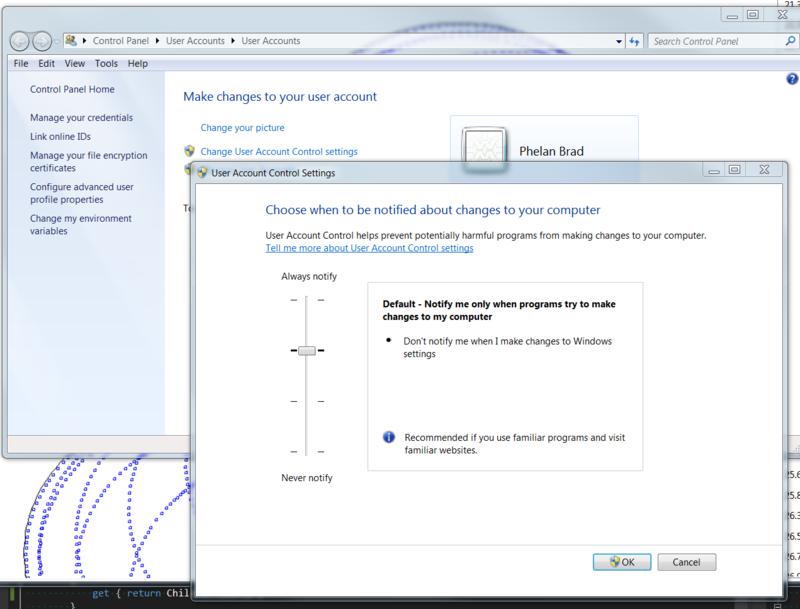 From my experiences, It correct not only for Vista, but also for Win7, Win2008. We did try to play with manifest, and it did works. Not the answer you're looking for? Browse other questions tagged c# windows-7 user-accounts or ask your own question.